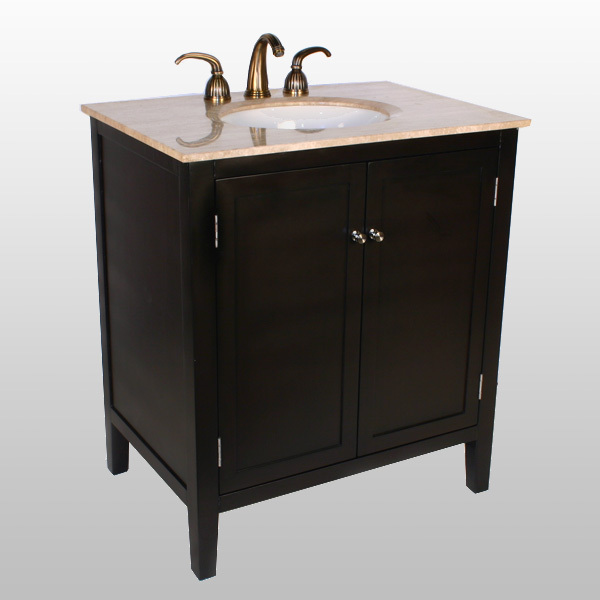 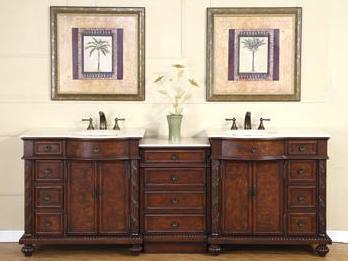 Simple yet stylish 32" Wide bathroom Sink chest with a solid Travertine countertop. 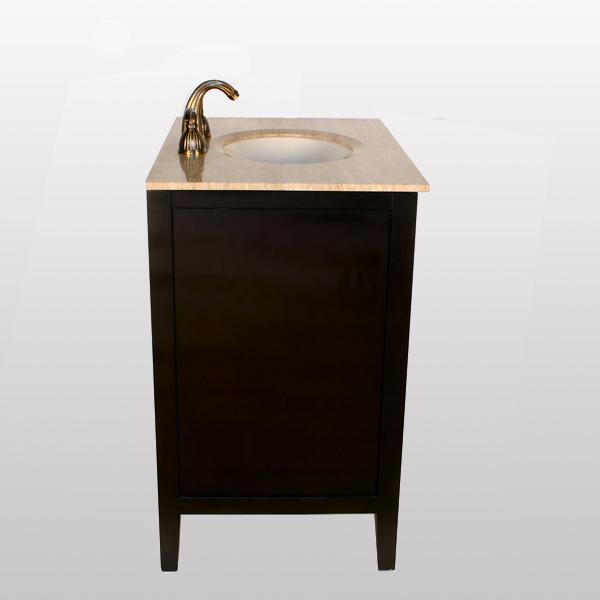 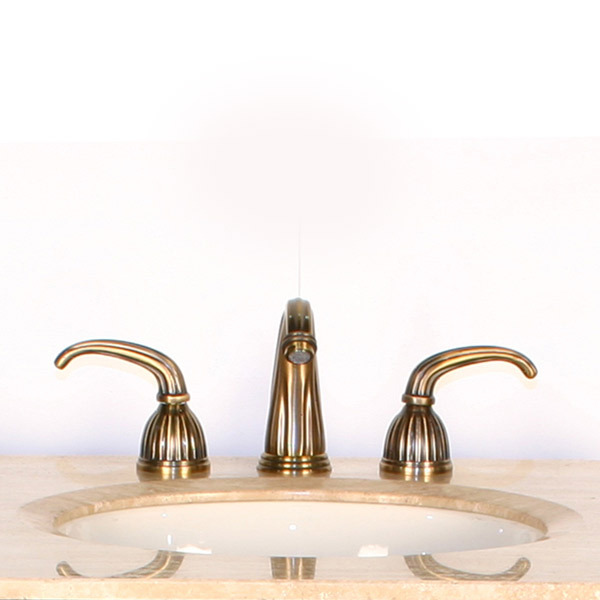 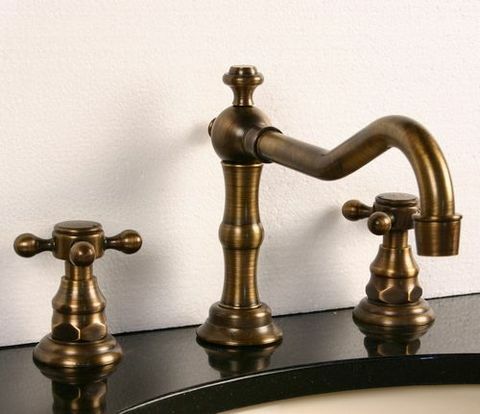 Oval, undermount ceramic ivory sink is included. 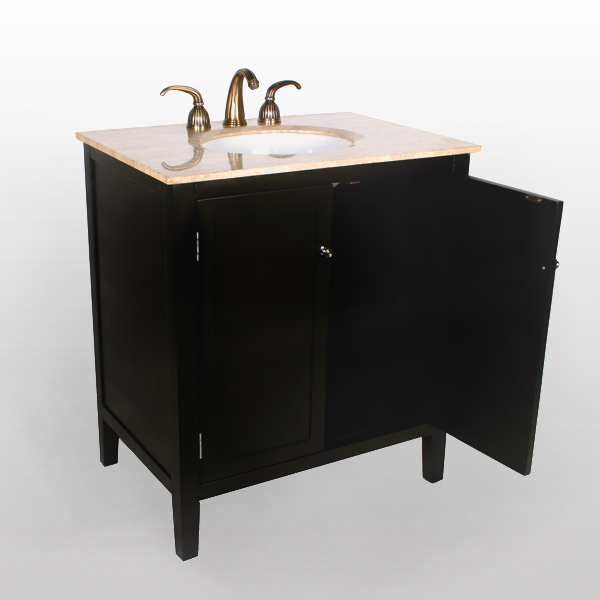 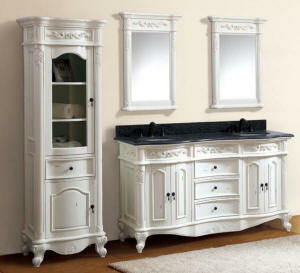 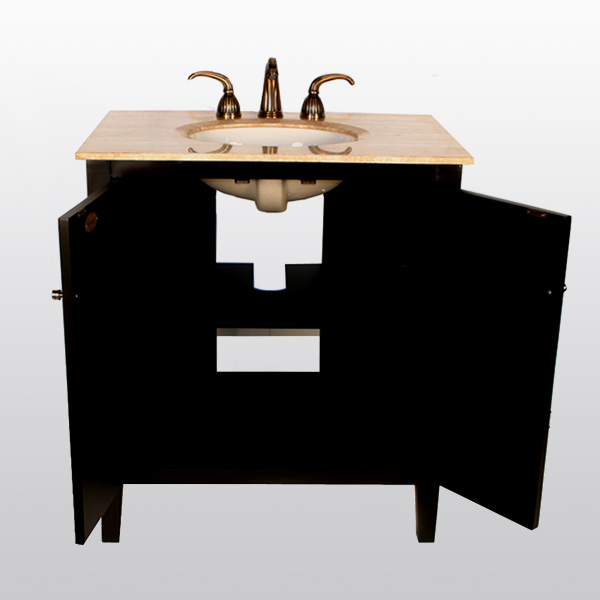 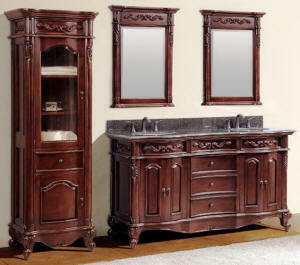 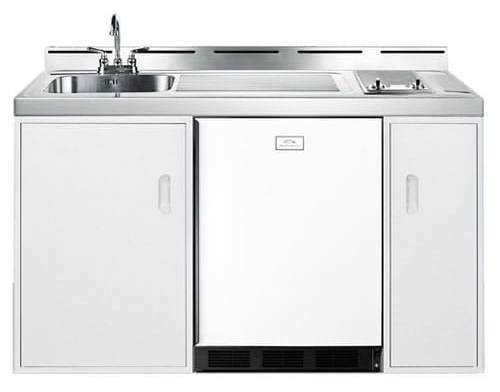 This vanity features a 2-door storage with shelve and big cutout back for easy access plumbing installation. 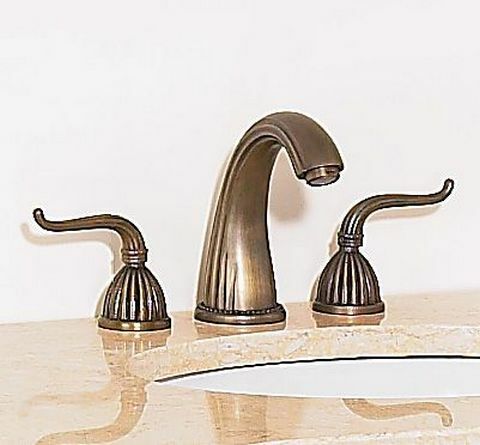 Travertine top is pre-drilled for 3 holes, widespread lav faucet. 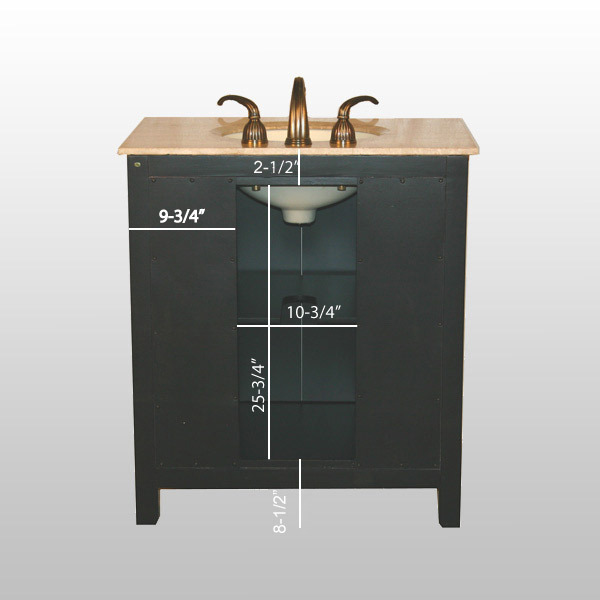 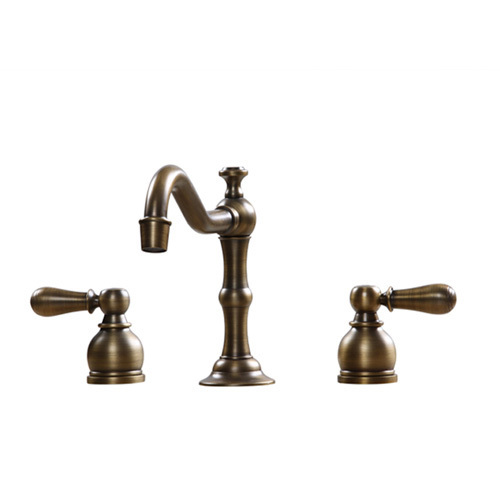 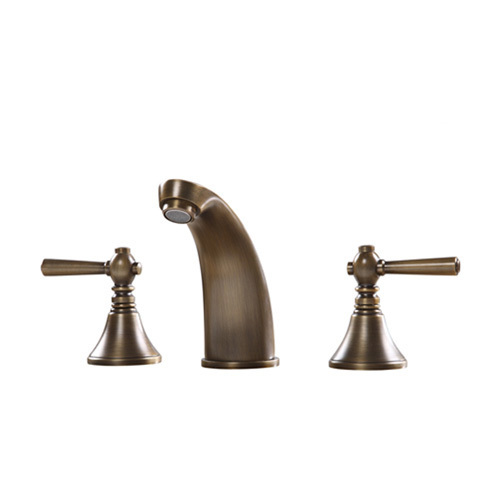 Overall Dimensions W=32" D=22" H=36"